Are you destroying your company? What do we mean by this? We mean that something, either suddenly or little-by-little, has gone so awry that the value of your company in the eyes of an investor has severely decreased. Out of all the possibilities, the most common reason value drops comes down to the leadership and the key team members that you have assembled. To improve the value of your company, identify and find solutions to those “destroyers” of value. Click here to download your free “Top 10 Destroyers of Value“. Your team is one of the most vital assets in your company. Without people, you don’t really have a company. In the process of valuation, investors spend a lengthy amount of time assessing your leadership, key team members, and general staff. Productivity in a company heavily depends on the integration and relationships between the team members. Especially relevant in toxic environments, alliances begin to form, gossip boils, and separation between roles deepens, etc. Are you the toxic person? Take a deep breath and assess whether you are the toxic person in your company creating these divides. To do this effectively, you cannot go about it alone. If you are in a position of leadership, bring other fellow leaders in to provide honest feedback of your performance. Give them permission to be brutally honest because in critical times (such as selling your business), there’s no time to work through fluff. When considering the value of your business, you need to take yourself out of the equation. Your business should be an asset you own, that generates cash, not an extension of yourself. It should be able to operate without your daily and direct motivation, involvement, or leadership. If the business cannot function without you, that’s a problem. When the business cannot function with you on an extended vacation, that’s a problem. When no one else can fill your position or create the same results, that’s a problem. If you have a company that is not worth much without you, no one will pay you much for it. If you’re not careful, you could be the destroyer that is impacting your company’s value. Perfectionism, lack of reinvestment, and plain old bad habits could mean you’re in big trouble. One of the most frustrating things about entrepreneurs and business owners is that they often forget to take themselves out of the company. What does that mean exactly? Perfectionists are professionals at not separating themselves from the business. By having accountability partners or top managers there to advise you if you begin to slip into perfectionist tendencies, you will be able to continually take a 40,000 foot view. The #1 thing to remember is when you create a company, is don’t work a job. Your company should work for you; it should generate revenue and operate independently for the most part. So, how can you ensure that a business can continue to operate and flourish without your involvement? Hire strong people, create valuable content and procedures, develop a brand that is not synonymous with you. If you do all of these things, it will help you create an asset, not a liability. Sometimes, those at the top can get “greedy”. I always say “greed lowers IQ”. When CFOs, CEOs, COOs or any other person in a financial leadership position finds success, they often reward themselves generously. While that is not necessarily bad, it is a bad idea when you neglect to financially lead your company by not reinvesting back into the company. Not only is this neglecting your responsibility to the shareholders, it risks a major cash crunch. Prioritize using an action plan what tasks will add value to your company. If there is someone who can do a frivolous task at a lower rate, delegate it. It’s not worth your time. Consider investing that extra bonus into the company. Check the reasonableness of your bonus. 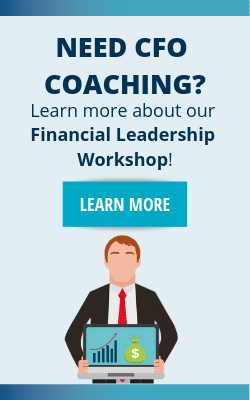 As a financial leader, you are more than just the leader of the accounting function. You have a responsibility to provide financial leadership to the sales and operations functions as well. Most accounting-types are reactive. Instead, think like the entrepreneur or owner of your company. Proactively make decisions that put your company ahead of competitors. This bad habit leads to more than just financial issues. Professional and personal scorekeeping pits people against each other, resulting in workplace animosity. Watch your words and the thoughts that measure and compare one’s performance. Take calculated risks; measure the downside of the risk in comparison to the upside. Be sure to factor in the payback period it will take to see if you can afford to take the risk. As a result of having 1 or more of these bad habits, you could be destroying your company. Who is actually in control? Figure out who is in financial control of your company. If it’s you, then start analyzing whether you are the destroyer. Regardless of your conclusion, there is an opportunity to take control of the situation. To truly maximize value, control all value centers in your company. The first order of business is learn the Top 10 Destroyers of Value. Download your free guide to avoid letting the destroyers take value away from you. One Response to Are you destroying your company? Excellent article. I would add to the frivolous task idea, the act of having meetings for the sake of having meetings. It’s a terrible thing that wastes a lot of time and energy. 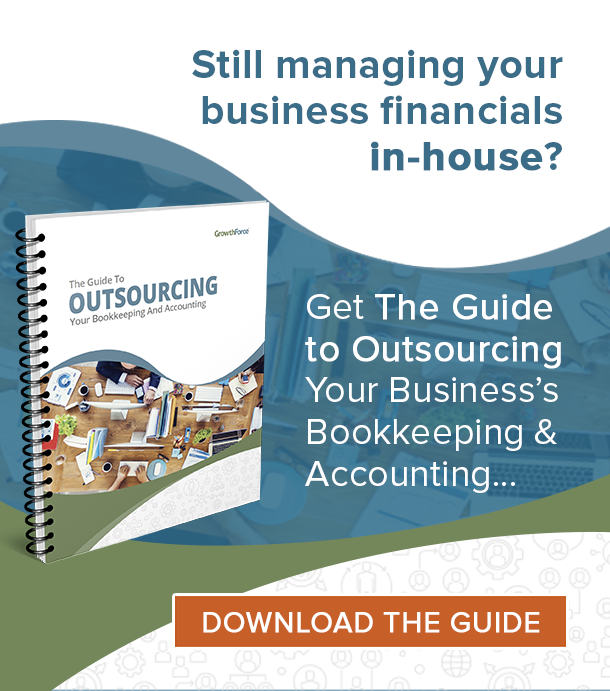 As far as accounting management goes, look at financial results to see where you are. Then move on to your strategic plan and discuss where you want to be and how you get there.